John P. Cogan, III concentrates his practice on corporate law, intellectual property, and renewable energy and oil and gas transactions. He has extensive experience with entrepreneurial endeavors and served as the General Counsel for several companies he cofounded. He continues to serve the internet industry by advising on copyright and licensing matters. Served on the team that represented a US/Korean consortium in the development of a proposed LNG liquefaction project for the monetization of natural gas to be produced from the Tamar Field offshore Israel, including negotiations in London for the shareholders’ agreement and letters of intent with potential LNG offtakers. Represented an investor group developing new seismic technologies for the oil and gas industry in cooperation with the Physics Department of the University of Houston. Lawyer in charge of all U.S. legal work for an alternative energy consulting firm which is a subsidiary of a major European wind power developer. Represented a Chinese television manufacturer in its acquisition of a Japanese company’s Mexican television manufacturing assets and related U.S. assets, including taking the lead role for Hart Scott Rodino matters and other U.S. law aspects of the transaction. General representation of the Houston Consulate General of a major United States trading partner. Represented shareholders in the sale of a Texas craft beer distributor. Provided research assistance to the primary expert witness in a major arbitration between the Government of Ecuador and a U.S. oil company. Provided research and administrative assistance to the chairman of an arbitration panel in a dispute over the acquisition of a large portfolio of East Texas oil & gas leases. Legal analysis and due diligence report for the acquisition by a major integrated oil company of a company owning valuable intellectual property related to CO2 catalytic conversion and carbon nanotube production technology. Co-Creator and served as General Counsel of One Box, a web-based unified messaging service. With co-creator Bill Nguyen, sold One Box to Phone.com (now Openwave Systems) in February 2000. Co-Founded served as General Counsel to Seven Networks Inc., a mobile email and messaging platform company. He developed affiliate programs and licensing agreements with wireless telephone service providers in Canada, England, Japan and the United States. Co-founded and served as General Counsel to Lala Media, an online platform for sharing and streaming music. As General Counsel he was responsible for licensing agreements with almost every major and minor recording label. He also initiated programs for Lala with Google and Facebook. In December 2009, Lala was bought by Apple. Mr. Cogan is a member of the American and Houston Bar Associations and the State Bar of Texas. 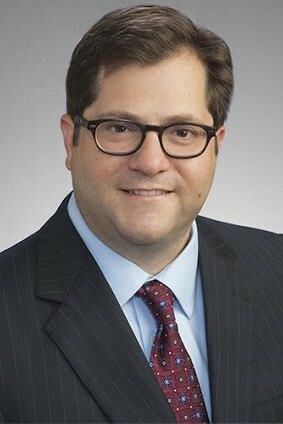 He is also a member of the Asia Society, Texas Center and serves on the Advisory Board of the Institute for Energy Law. He is a former Entrepreneur in Residence at the Institutional Venture Partners. In addition, he serves on the Board of Directors of The Regis School and is Chairman of the Board’s Building and Grounds Committee.